When you think of Philadelphia, a couple of things may come to mind: its reputation as the “City of Brotherly Love,” its historical significance, or even its “passionate” sports fans. Yet even with such impressive claims to fame, Philly is often an underrated city that has even more to offer than initially meets the eye. I discovered just how much there is to do here when my husband and I moved to Rittenhouse Square. We’ve now been living in Rittenhouse Square for two years, and I still constantly find new places to explore in this lively neighborhood. The area is packed with delicious restaurants, seemingly endless shopping options, theaters and music venues, and beautiful homes. Whether you’re looking for historic sights or the best BYOB restaurants, this downtown neighborhood is where you want to be. As a former California native, I like to consider Rittenhouse Square my oasis in the big city. 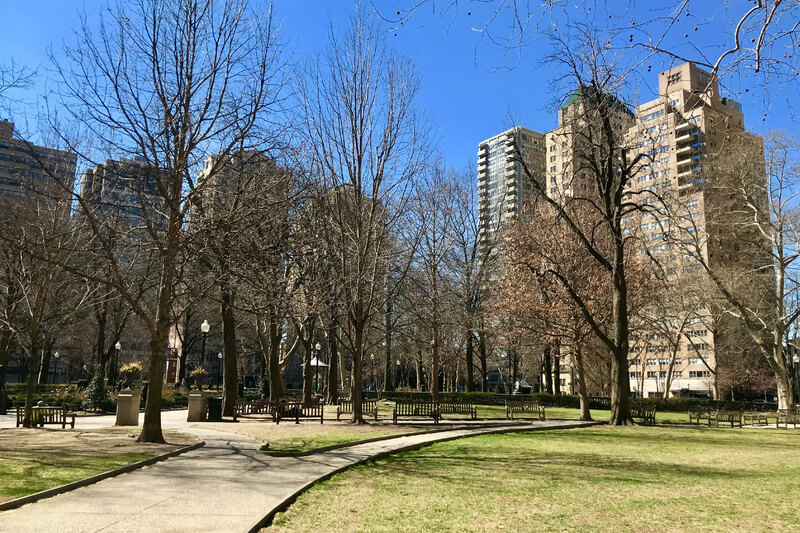 Rittenhouse Square is centered around its beautiful namesake park, which quickly becomes one of the most popular places in the neighborhood as soon as the sun is shining. On a nice day, you can bring a blanket and a picnic to the park. While relaxing and enjoying the greenery and tranquility, you might even forget you’re in the middle of the city. The park also holds a farmers market every Saturday (yes, even during the cold Philly winters) where you can pick up fresh produce and other treats. The park really is the heart of the neighborhood with shops and restaurants lining the surrounding streets, so the closer you live to the park, the closer you are to all the neighborhood happenings. Speaking of restaurants surrounding the park, one of my absolute favorites is also called, you guessed it, Parc. 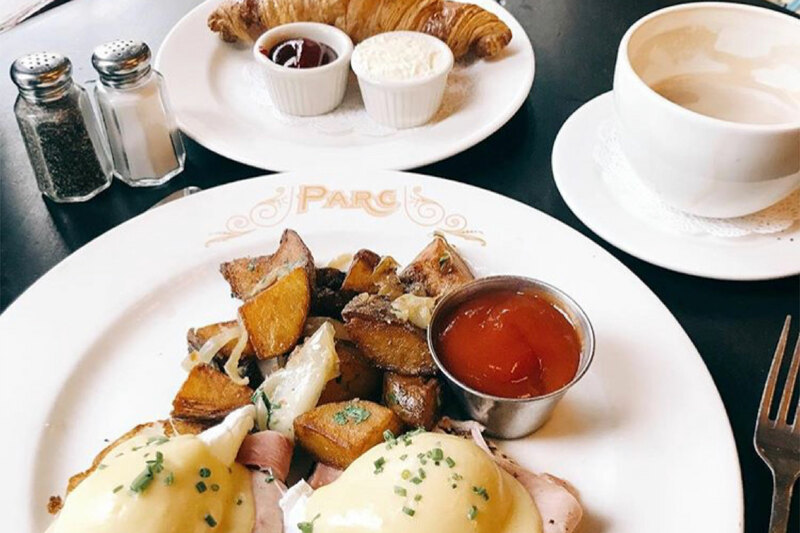 Boasting great food and phenomenal service (a hallmark of Steven Starr restaurants), this charming French eatery offers breakfast, lunch, and dinner. If you really want the French bistro vibe, I recommend grabbing a table on the sidewalk and catching views of the park and passersby. I also recommend making reservations in advance, unless you get there right when they open up and snag a table for brunch. This place fills up quick! 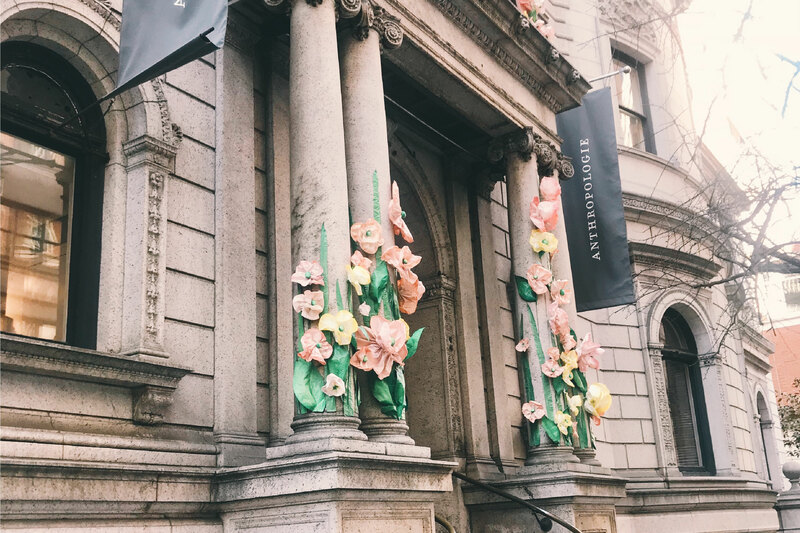 Rittenhouse Square is an extremely walkable neighborhood, and there are plenty of charming streets to wander down while making your way through the area. One of my favorite weekend activities is to grab a quick Italian coffee at Gran Caffe LA'quila, and then spend the morning making my way through the neighborhood, admiring all the homes. Even though Rittenhouse Square has a very urban feel, there are different residential pockets tucked away in the area, and I love stumbling across quaint cobblestone streets. 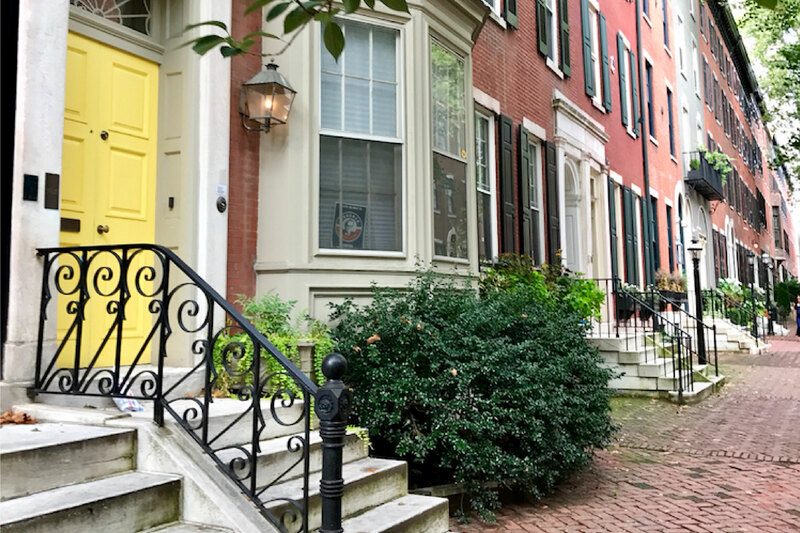 You can also find some older brownstones that still exude that old America charm; many Philadelphia residents make it a priority to maintain the historic feel of their iconic row homes. I particularly love heading east towards Delancey Street. It has the prettiest walk ups and, during the holiday season, the homes are typically decked out in festive decor. If by chance you don’t find what you’re looking for, pop one street over to Chestnut Street and explore The Shops at Liberty Place. The mall boasts the likes of J.Crew and a Bloomingdale's outlet store, as well as a food court. My favorite place to shop is the Anthropologie on Walnut Street. In typical Anthro fashion, the store occupies a gorgeous converted estate, and it’s decorated to a tee. With three levels, you can really take your time exploring everything this store has to offer—from the bridal and home sections located on the bottom floor to the killer sale room on the third level. When friends and family come to visit, I try to put together an itinerary of distinctly “Philly” things to do. And, of course, visiting Independence Hall, the Liberty Bell, and the Rocky Steps are always on the list. 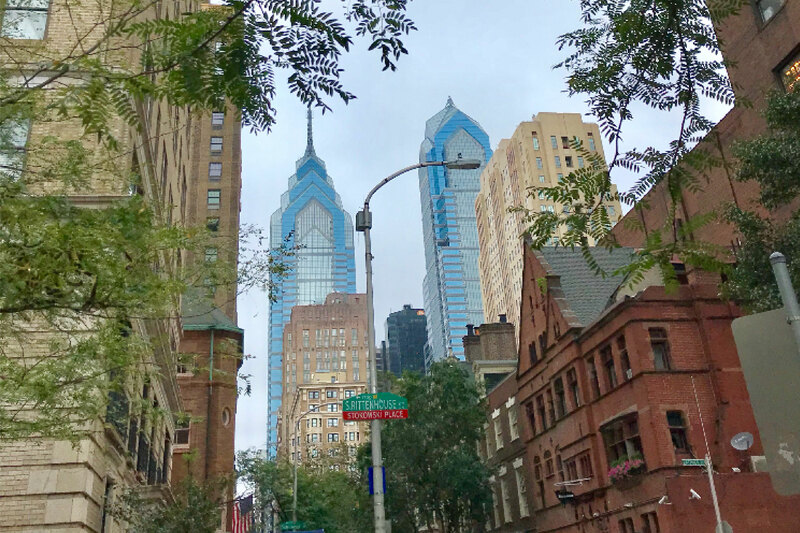 Thankfully, Philly is a very walkable city, and Rittenhouse Square is in a central location, which means it’s a great starting point to see all of the sites on foot—no Uber required. Independence Hall and the Liberty Bell are right across the street from each other, both located in Market East (an area just east of the Rittenhouse bubble). The Rocky Steps are really the Philadelphia Museum of Art, which is just north of Rittenhouse Square in the Spring Garden neighborhood. It boasts an amazing art collection, and the Rocky statue is right outside of the museum, so you can take your photo with Rocky Balboa after running the stairs.